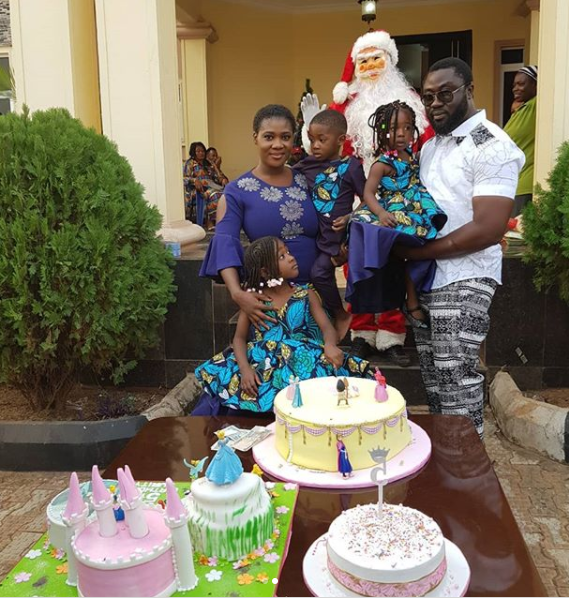 Purity, the first daughter of actress Mercy Johnson-Okojie, turned 5 recently. Her parents threw her a birthday party that was attended by family members and friends. All about Purity’s 5th Birthday Celebration. Thank you all for the goodwill messages and your presence. My wife @mercyjohnsonokojie and I appreciate you all. Wish you all a prosperous 2018. All about Purity's 5th Birthday Celebration. Thank you all for the goodwill messages and your presence. My wife @mercyjohnsonokojie and I appreciate you all. Wish you all a prosperous 2018. Beautiful designer cakes! Highly appreciate the baker. Went for a pool party at one of the sea located venues in NYC few weeks back. All preparations were done by one of our team mate. Wine was great and quality snacks were fat free. Even liked the attentive staff services.